This month’s chain begins with The Slap by Christos Tsiolkas. I haven’t read this book about a man in suburban Melbourne who slaps an unruly three-year old boy at a barbecue. The boy is not his son. It is a single act of violence, but the slap reverberates through the lives of everyone who witnesses it. And after reading a number of reviews I have no desire to read it. Joyce Carol Oates, a book that also has a photograph of a child on the front cover. The title character of this novel is Rebecca Schwart, born in New York Harbor, the daughter of Jacob and Anna who escaped from Nazi Germany in 1936. Her father, originally a maths teacher can only get work as a gravedigger and caretaker of the cemetery. 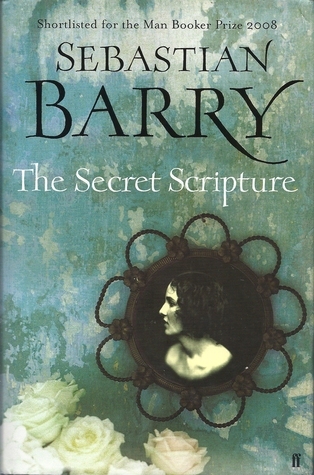 Roseanne in The Secret Scripture by Sebastian Barry. Roseanne, an old woman about 100 years old, in a mental hospital in Ireland looks back over her life and begins to wonder just what was real and what was fantasy. It’s a story of Roseanne’s struggle to survive set against the background of religious conflict and political unrest in Ireland and also about the nature of memory and its function in our lives. The third link is a book that also considers how reliable our memories can be. 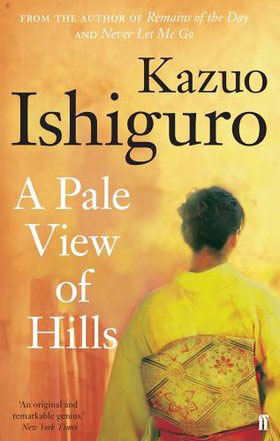 It’s A Pale View of Hills by Kasuo Ishiguro about a widow, Etsuko living in Britain, as she reminisces about her past life in Japan shortly after the Second World War, living at the edge of the wasteland of Nagasaki. This is a beautifully written book, describing the countryside around and in Nagasaki after the war, referring to life before the war, and how not only the landscape but also the people and traditions were altered in the aftermath of the atomic bomb. 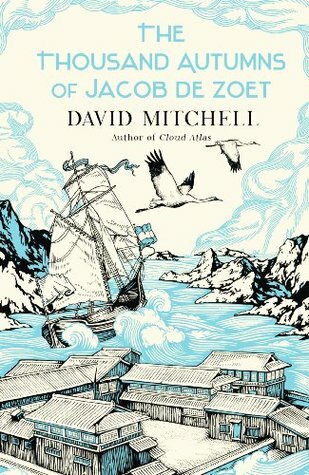 Another book set in Japan is The Thousand Autumns of Jacob de Zoet by David Mitchell. It’s set in 1799 on Dejima in Nagasaki harbour. This is one of my TBRs. As a junior clerk, de Zoet’s task is to uncover evidence of the previous Chief Resident’s malpractice. He becomes intrigued by a rare woman’”a midwife permitted to study on Dejima under the company physician. 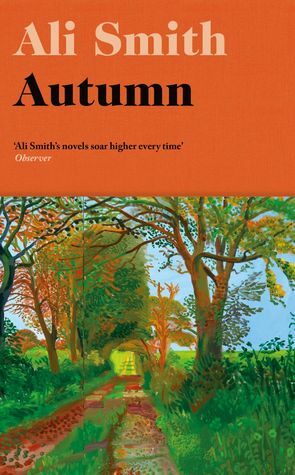 My fifth book is linked by the title – Autumn by Ali Smith, a novel that looks at modern life, how we got to where we are, and the mood of the country post-Brexit (that word is never mentioned in the book). It begins with a stream of consciousness as Daniel Gluck, a very old man, ponders his life and his approaching death. The main focus of Autumn is the relationship between Daniel and Elisabeth Demand who first met when Elisabeth was a child and she moved into the house next door to Daniel’s. Martin Edwards’ Lake District Mystery series the central characters are historian Daniel Kind and DCI Hannah Scarlett, head of the Cold Case Review Team. 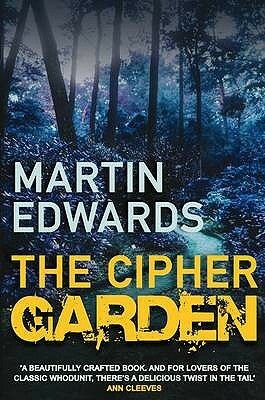 One of my favourites in the series is The Cipher Garden in which Daniel and Hannah’s team investigate the murder of Warren Howe, brutally killed in the peaceful village of Old Sawrey, close to Near Sawrey the home of Beatrix Potter. From Melbourne to New York, Ireland, Nagasaki, and Great Britain my chain links books about children, gravediggers, the nature of memories, meditations on life and death, and a murder mystery – quite a journey. How clever of you to find two books with gravedigger’s daughters in! Love your links – as ever – our chains are completely different, the joy of this meme. I am always fascinated how the roads diverge, even though they have the same starting point. But any books with a Japanese background are fine by me! Great links Margaret, and I’ve read three of them (as well as The slap, which I thought was an interesting read) – the Barry, Ishiguro and Mitchell. I’d love to read the Ali Smith. I’ve only read her Hotel World, which I really liked. I have yet to read A Pale View of Hills or The Secret Scripture, but your comments have boosted them up my wishlist. I did try the Mitchell, but struggled to get into it, despite being interested in the topic. Great chain! I love seeing the range in types of links and what people focus on when linking books. Oh, what a clever chain, Margaret! 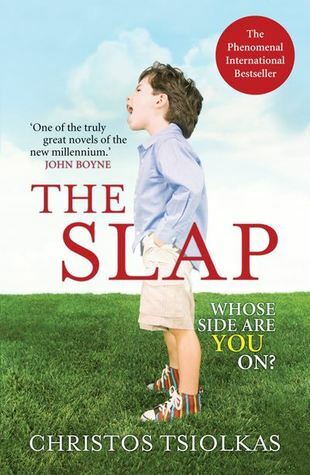 I’ve heard a lot about The Slap, although I admit I’ve not read it. And I think Marin Edwards’ series is excellent. Ingenious the way you put them together. I’m pretty much where you are on The Slap. I’ve never read it, and after reading some of the comments about the book, it’s not likely I ever will. 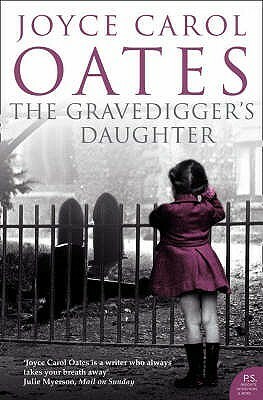 The Grave Digger’s Daughter sounds pretty interesting! The Slap is certainly a book that divides people and it is, for the most part, ugly (which made it a fascinating and compelling read for me). To my great shame, I’ve never read any Ali Smith – no reason – and feel like I’m missing out! I love the cover of Autumn. What interesting choices! Though I’m afraid I threw Thousand Autumns back. A Pale View of the Hills has been on my list to read for a while. I must get it read. Nice “chain” and good reviews.